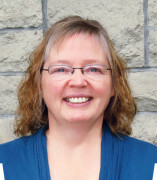 A Q & A with Laurie Carter. 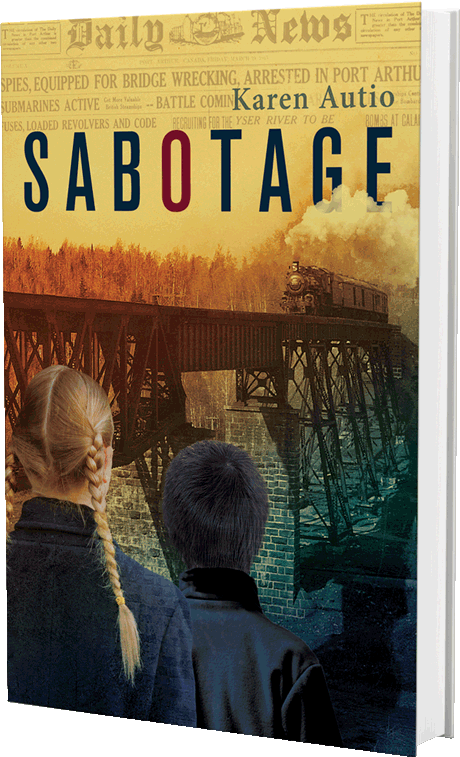 What is your novel Sabotage about? It’s an adventure tale about Saara and her brother John in Canada during the First World War. 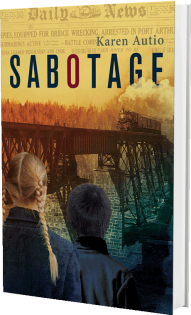 As battling siblings, they must find a way to trust each other in order to deal with spies, sabotage and the internment of their German friends. Who are your intended readers? My books are listed for grades 4–8, yet the stories appeal to all ages. Did you set out to write a trilogy or did the series evolve? I thought Second Watch was a standalone book. Then I realized I wasn’t done with my characters. While quarantined in a tuberculosis sanatorium, my grandmother wrote letters to her baby, my mother. This family story inspired my second book, Saara’s Passage. In my research, I discovered a tale I’d heard growing up in Nipigon, Ontario, was true. German spies plotted to blow up the Canadian Pacific Railway bridge there in 1915. Inspiration for Sabotage. How have other Okanaganites contributed to your work? 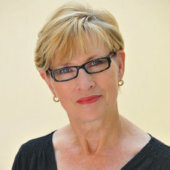 Beside my family’s support and encouragement, fellow writer Loraine Kemp critiqued my stories, giving valuable feedback. Student editors reviewed early drafts and helped me see how to revise. Doug Wilson’s photographs of Brynn Tucker graced two covers. Library and museum staff simplified my research process. As a researcher I know primary sources are best, so I went straight to my friends. Some say I’m witty, creative and analytical. I’m even called fun and adventurous. My passion for history and story pushes me to extend my comfort zone. Others say I appreciate beauty in nature and that laughter, a hug, prayer or even tears are all shared with ease. And apparently you want me on your side when playing games!